Our Confirmation Gifts, some specially designed for boys and some for girls, make the perfect day. Blue Confirmation Gift Set with Book, Rosary & Rosette. 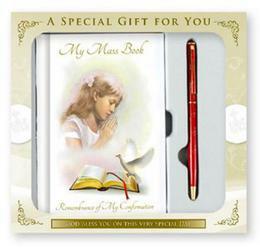 Red Confirmation Gift Set with Book, Rosary & Dove Brooch. Confirmation Gift Set for a Boy with Book, Rosary & Brooch. 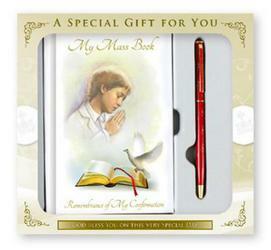 Confirmation Gift Set for a Boy with Book, Rosary & Dove Brooch. Boy's Souvenir of Confirmation Hardback Prayer Book & Pen.